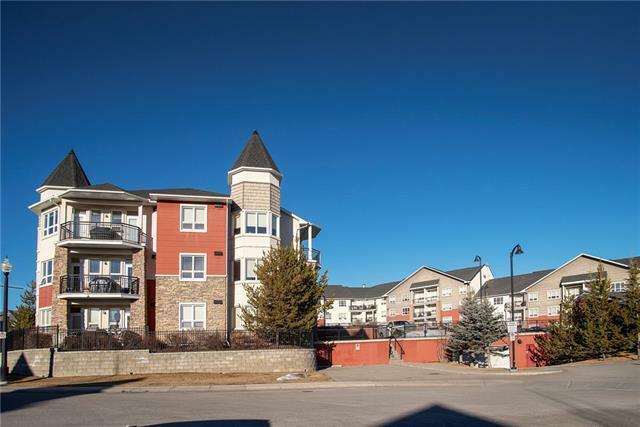 Immediate Possession, 1 bedroom condo in one of Calgary's best communities, Springbank Hill. Top floor living offers unparalleled peace & tranquility. The roomy entrance, 9' ceilings & picturesque oversize windows make it feel larger than expected. 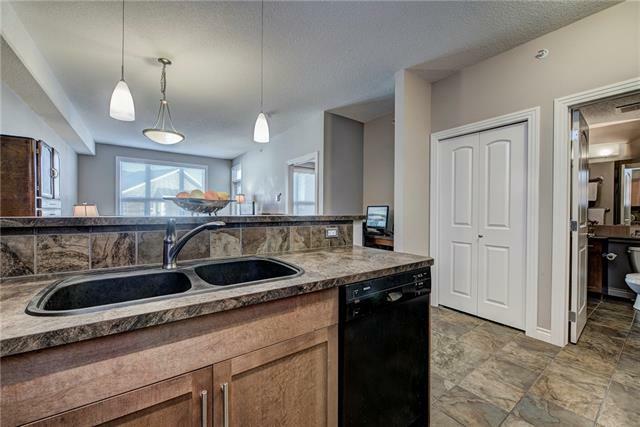 This home has everything you need including open concept living, well-appointed kitchen with separate wall oven and Ceran range top, abundance of cabinets & counter space, raised eating bar, Bosch dishwasher, built-in desk area, large walk-through closet in master, spacious 4 pc en-suite & in-suite laundry. Relax on your private balcony with convenient gas BBQ hookup. Enjoy your secure parking space & oversize storage unit. This well-run complex features an impressive fitness facility, bike storage & visitor parking. 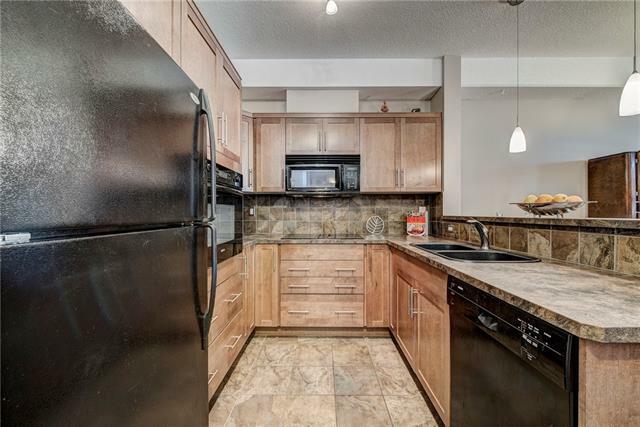 Great location, walking distance to Aspen Landing, paths and quick access to downtown, LRT, Westhills Shops, Westside Rec Centre. Now with newly installed carpeting throughout. 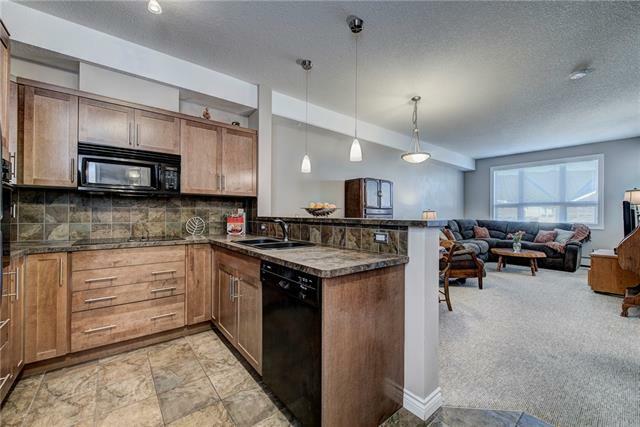 Perfect for Investor, 1st time buyer or someone looking to downsize.